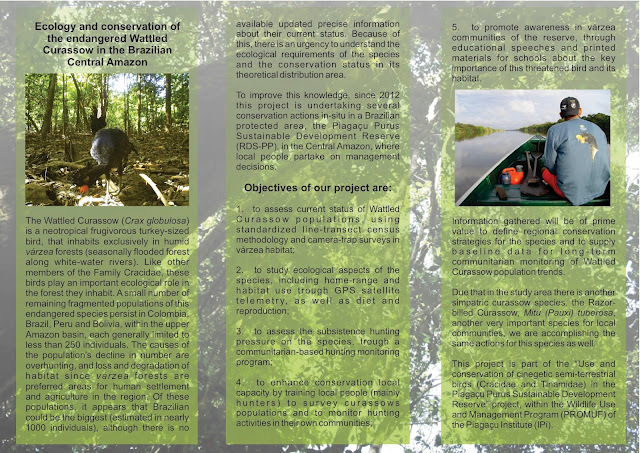 Ecologia e conservação do mutum-piuri, uma espécie ameaçada, na Amazonia Central Brasileira. 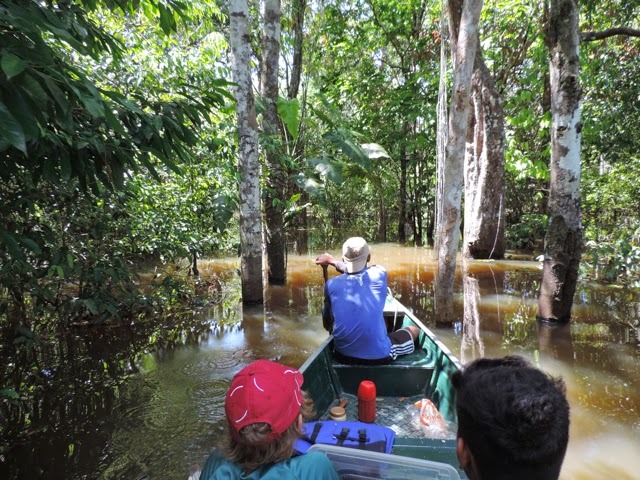 We are pleased to announce that the French conservationist NGO "Fondation Ensemble" is supporting one more year of activities of the project in the field. A BIG thank you for being a partner in the conservation of one of the most endangered birds of the Amazon! We have a new LOGO! O Projeto Piuri tem um logo novo! 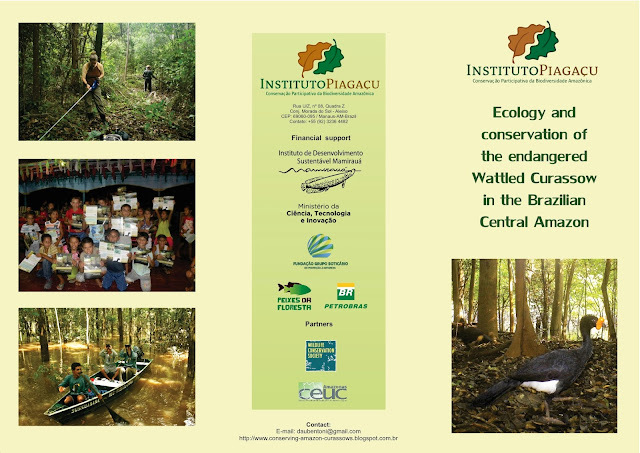 New divulgative institutional folder of the project! Amazing Wattled curassow art week!!!! Last week of September was nothing but GREAT for the Wattled curassow!! 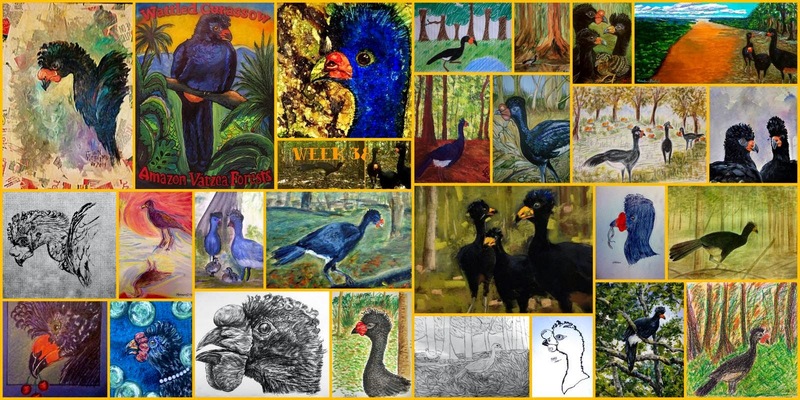 A group of very talented artist from several countries in the world (members of the "52 Weeks Nature Painting Challenge" Facebook group, coordinated by the artist Kitty Harvill), dedicated the whole week to create wonderful artistic tributes to the Wattled curassow. Some of the paintings were inspired in pictures of the species captured in the camera trap survey we did last year. The results where more than amazing! Thank you so much to all artists participating for their beautiful contributions! Paintings will be used for educational purposes, to raise awareness and help spread the voice about the importance of the conservation and care of this marvelous and endangered species! You can see in detail each painting in the section "Art gallery" of this site!! (Collage done by Kitty Harvill). The Wattled Curassow was present in Trinidad and Tobago! 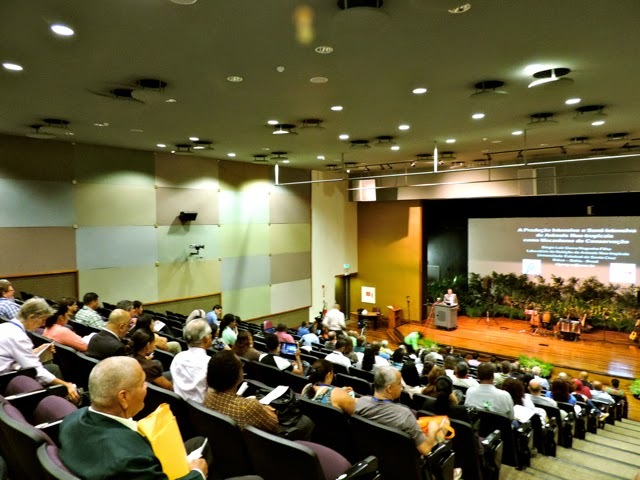 We participated on the XI CIMFAUNA, held in The University of West Indies, in Trinidad and Tobago, presenting some preliminary data about the population status of the Wattled Curassow in the Lower Purus River. We want to thank you the organization committee of the congress and all trinitarian people: we had a great time! 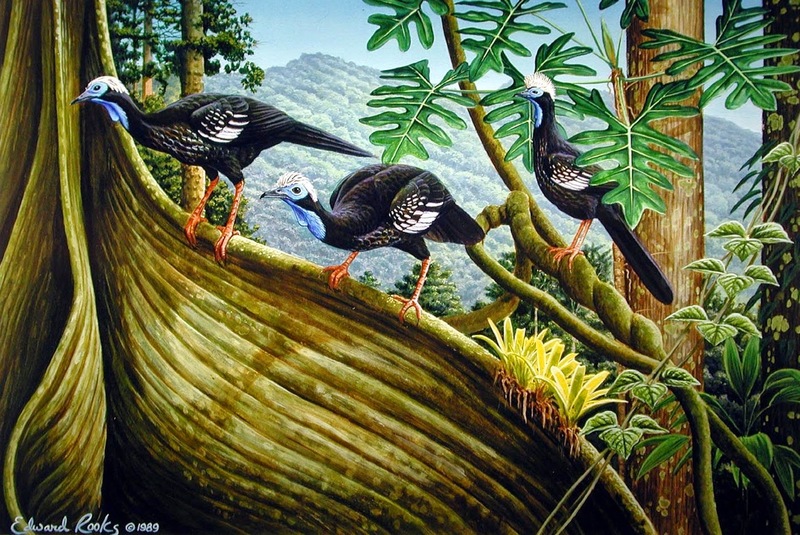 Enjoy a marvelous painting of the Trinidad Piping-guan, done by Edward Rocks, and a picture of its habitat, taken in the National Park Marupa. 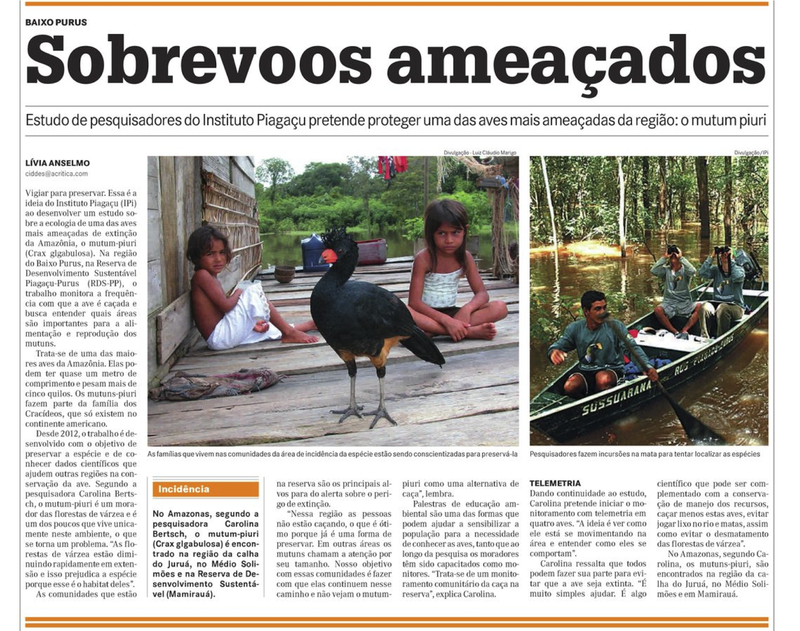 Curassow censuses are going on! .. and t is so amazing each time we can see one of them in the wild! 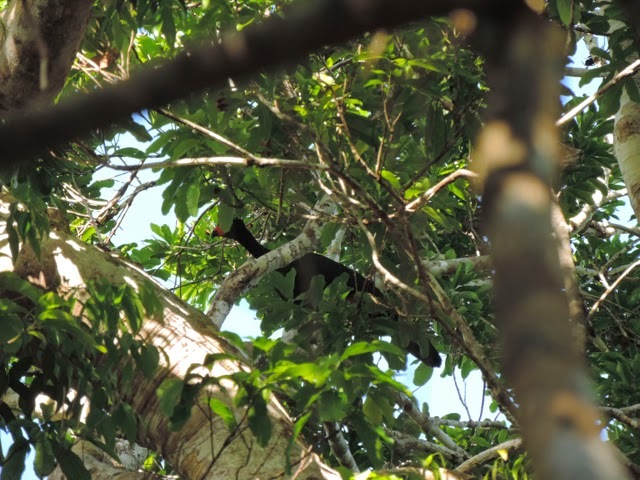 Here in the picture you can see a wattled curassow female, hidden very high, up in the forest canopy! Carolina Bertsch. 2014. Travel theme. Powered by Blogger.